The gorgeous Dandelion embellishments are made completely by hand embroidery from expert artisans. 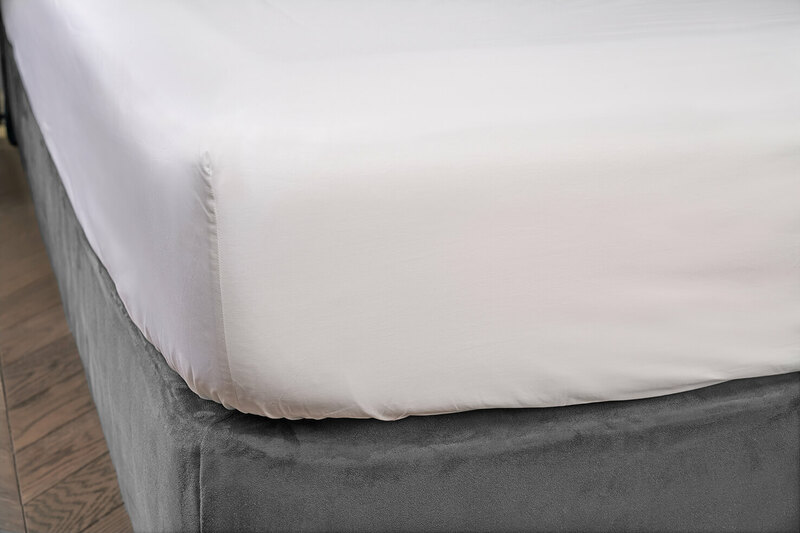 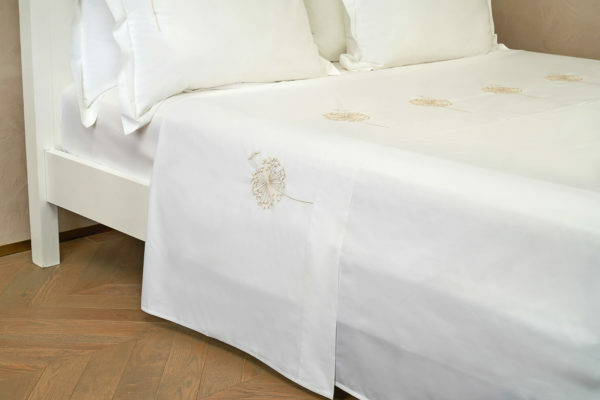 This romantic and indulgent design has very fine detailing creating an elegant sheet set. 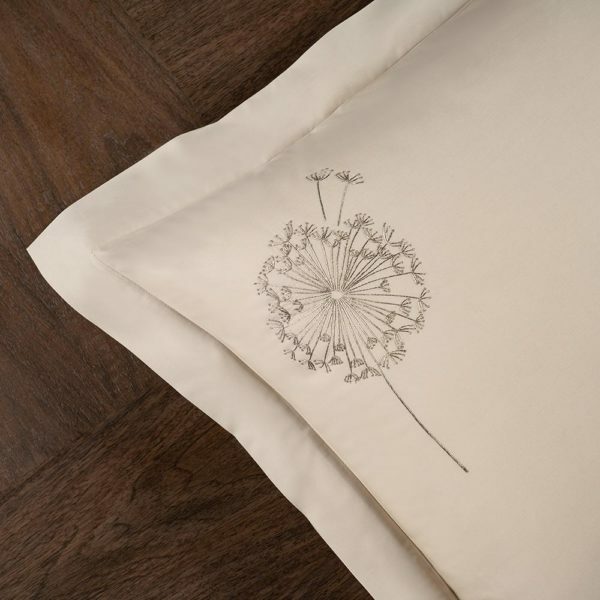 Sophisticated and forever stylish, this dream luxury bed linen design is a timeless addition to your bedroom look. 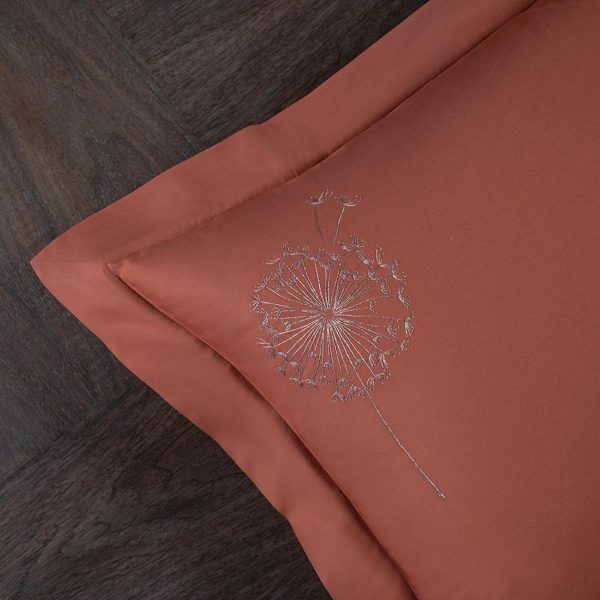 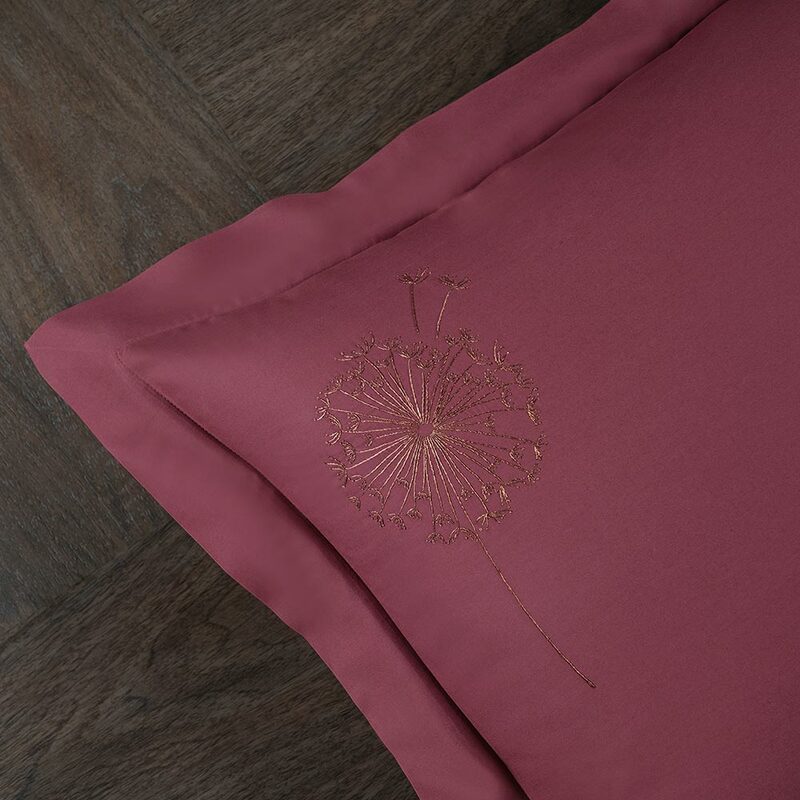 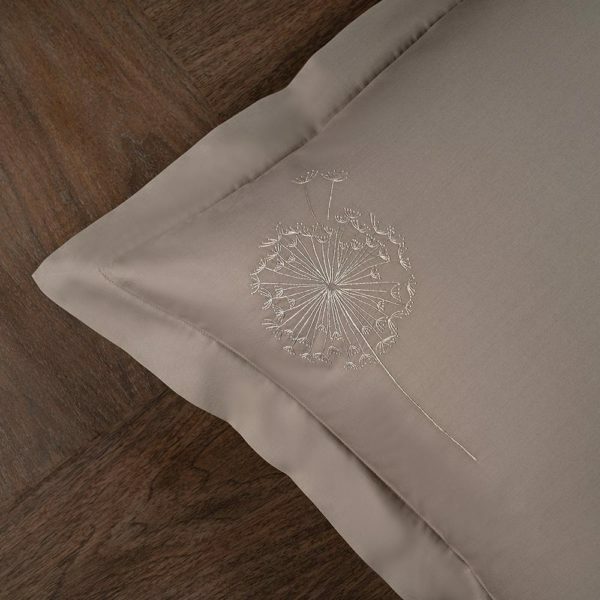 This design has really special hand embroidery work made with a beautiful metallic thread, making the Dandelion pattern on the lustrous cotton satin pop & shine. 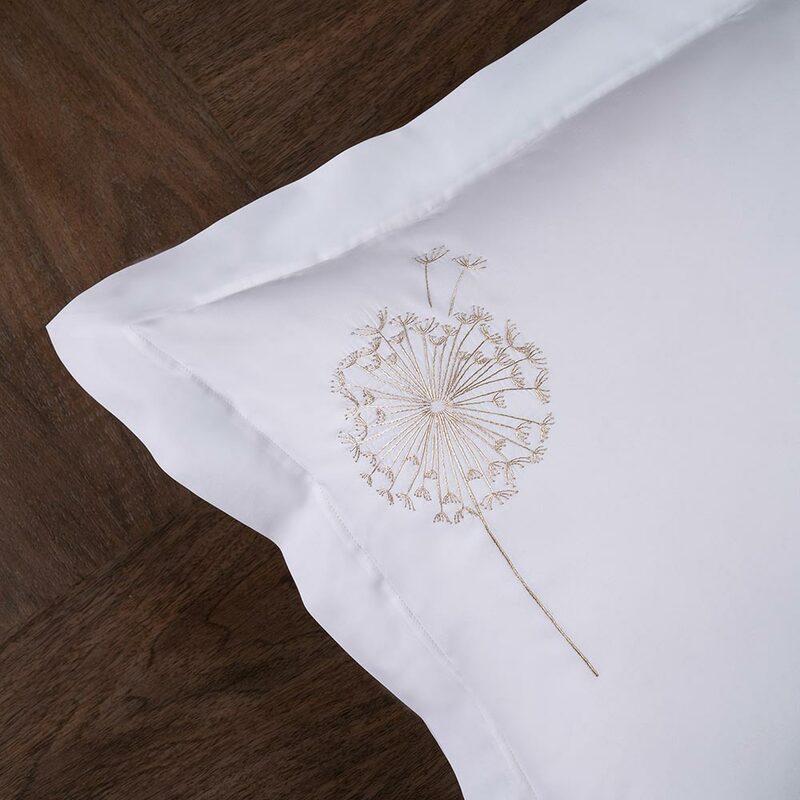 One dandelion takes up to 6-hour to finish! 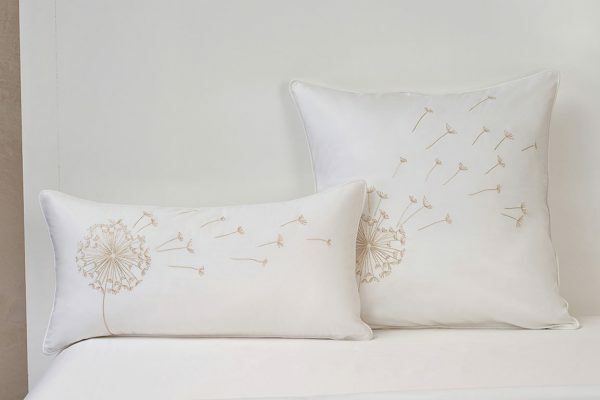 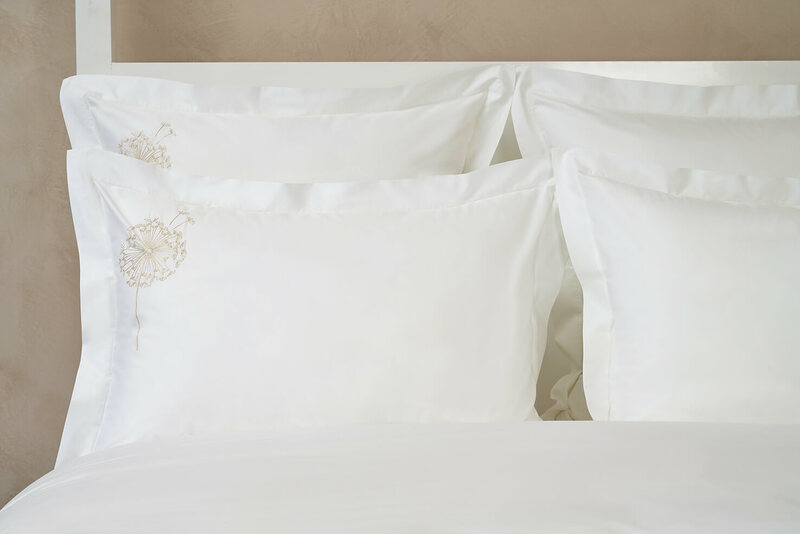 Take a count of how many dandelions on our duvet cover and pillow shams.